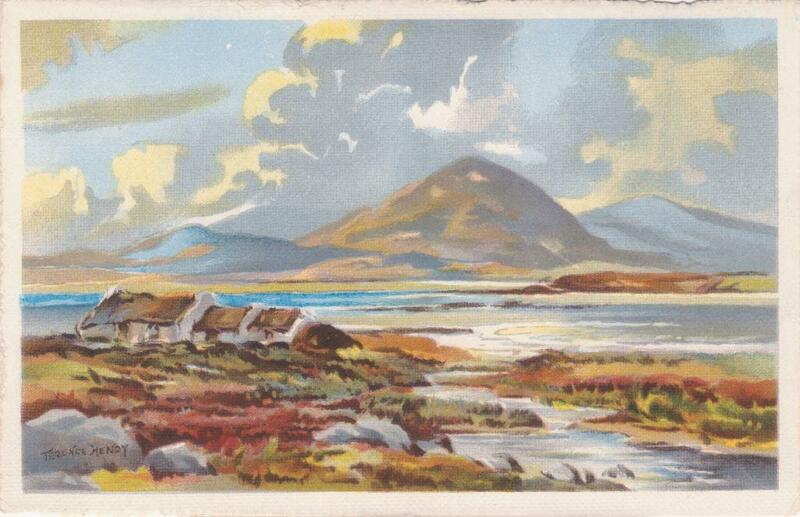 Zero biographical information so far despite extensive enquiries with Arts bodies, museums and on various message boards. 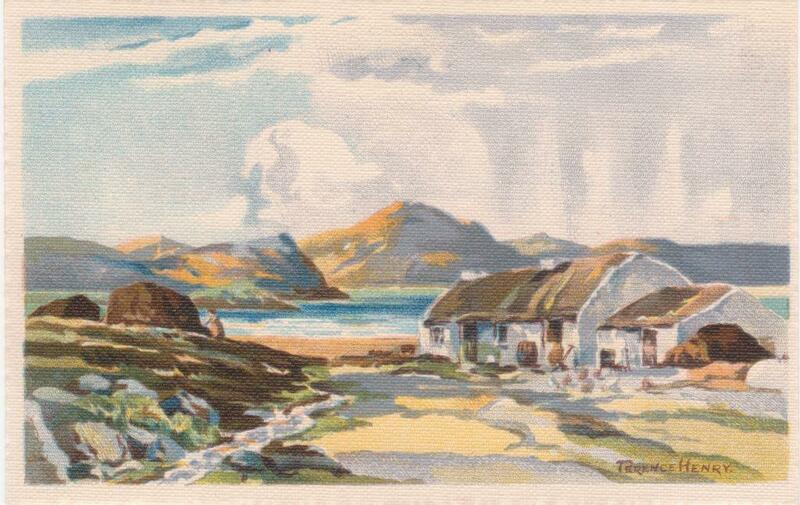 The artist must have been active in the 1940/50 period as this is when his paintings appeared on postcards. 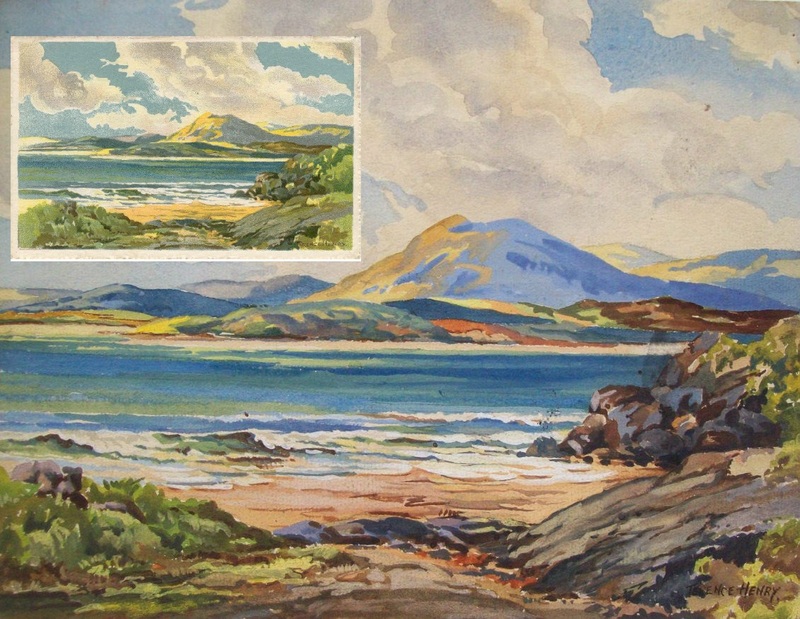 “Irish coastal view with blue hills beyond” watercolour – above – sold for £50.00 on eBay a couple of months ago. 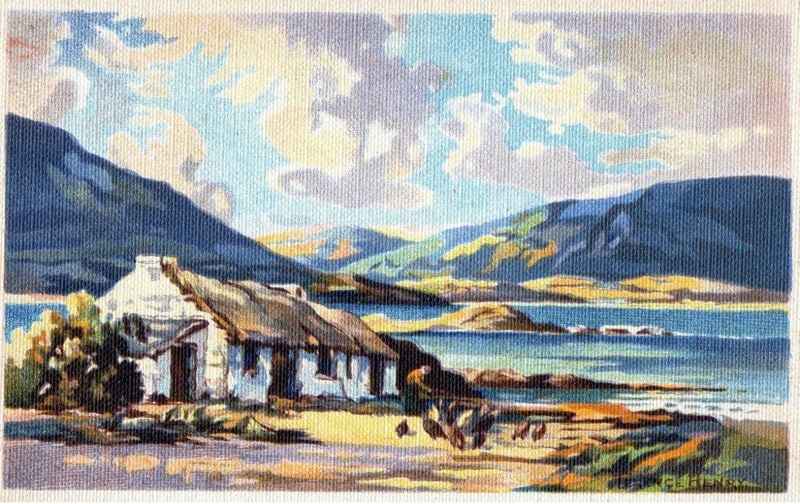 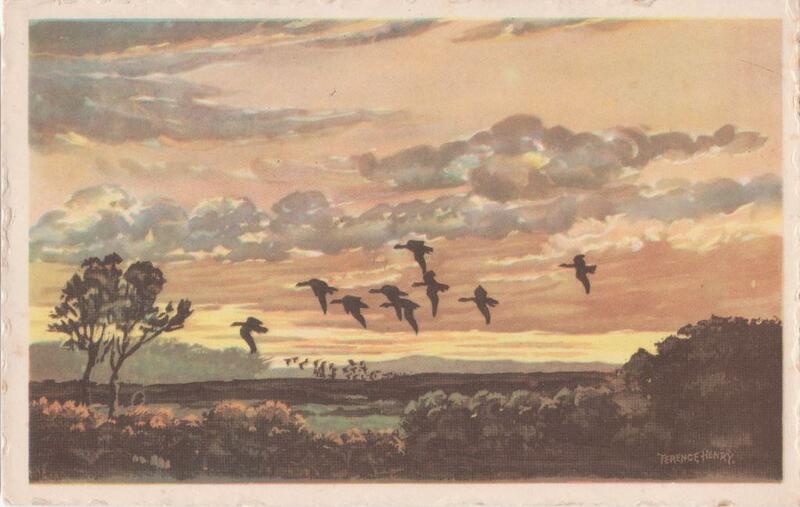 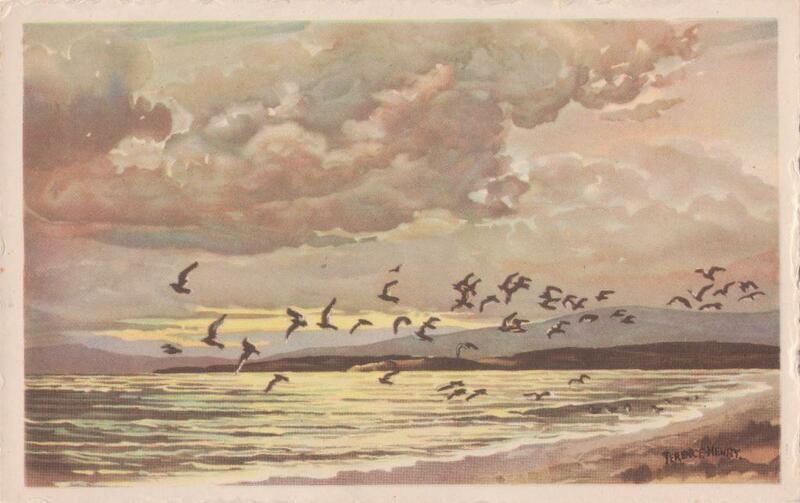 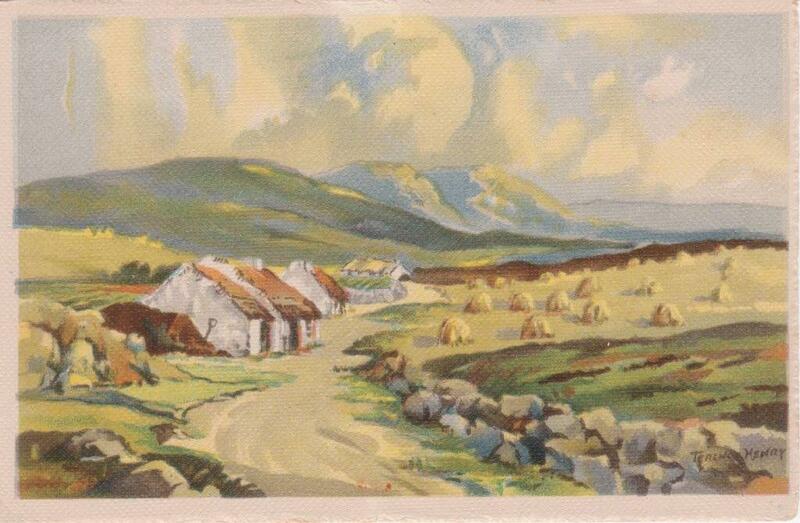 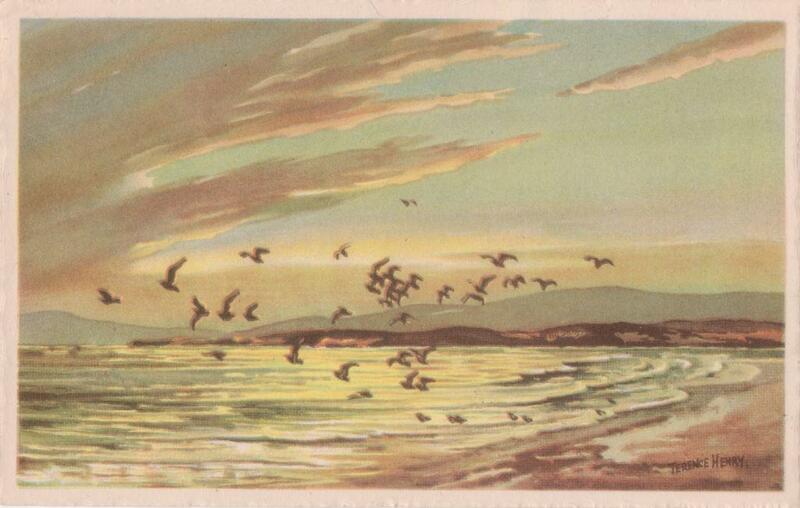 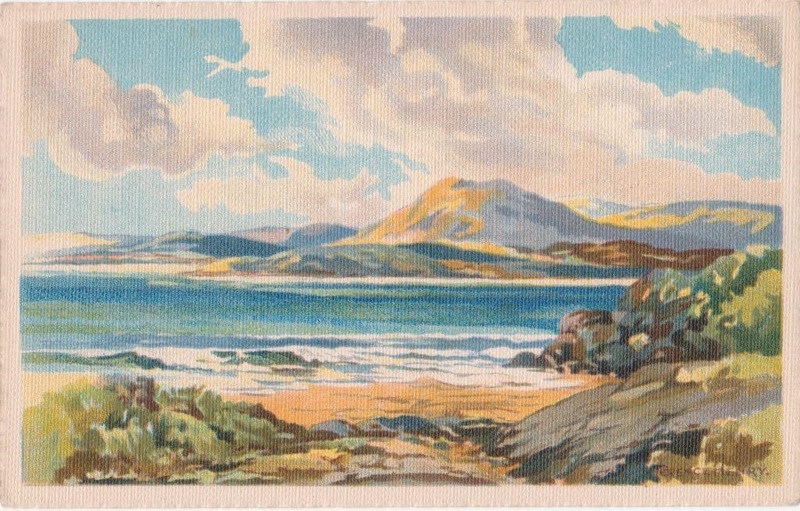 It’s clearly the same painting as that used for the postcard – see insert – which proves that one/some of the original paintings supplied to Scholastic Productions have survived.